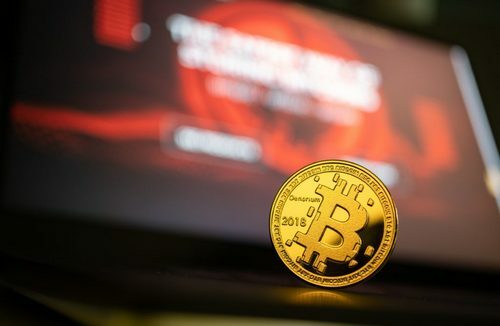 While he didn’t exactly back his prediction, which would see the cryptocurrency rally by 180% from current levels, Ritchie drew attention to a number of industry trends that consumers should keep their eyes on for 2019. The first is the decoupling of cryptocurrencies, like Ethereum, XRP, and the like, from Bitcoin. Ritchie didn’t divulge whether he expects for BTC to outperform its counterparts on the lower rungs of the ever-extending cryptocurrency ladder, but assuming his company’s diverse outlook, probably not. The second is the impact that the price action of legacy markets will have over cryptocurrencies. He didn’t explicitly state how a rally or collapse in the S&P 500, for example, would affect the broader digital asset market. Interestingly, however, players like Travis Kling, the chief investment officer at L.A.-based Ikigai, believes that the U.S. Federal Reserve’s recent decision to not impose a policy rate hike will be an extremely positive catalyst for decentralized, immutable, non-censorable, secure, deflationary, and non-sovereign currency, like Bitcoin, in the months and years to come. Lastly, the Digital Capital Management C-suite member drew attention to Wall Street’s arrival into this asset class, especially as Bakkt and Fidelity Investments launch their crypto-centric products in the near future. Unlike Jeff “Dollar Vigilante” Berwick, who believes that institutional forays into this market in early-2019 will absolutely “explode” the crypto industry, Ritchie surprisingly stated that he doesn’t expect many from the traditional world of investing to down the red pill just yet.